Here you can see how to connect copper to galvanized plumbing. Since you completely demolished the shower down to the wood studs, you have access to the internal water supply line plumbing. Your work area is completely exposed, therefore, the rough-in valve and piping is visible. If your work area were obstructed, you would then need to either cut into the shower wall face or you would need to gain access from the rear by cutting into the adjacent wall. Here is an example of how to gain access from the rear of a shower rough-in valve for replacement. Some manufacturers ship shower rough-in valves together with the shower valve cartridge. In these instances, you must remove the shower valve cartridge before attempting to install the shower rough-in valve, and especially when soldering copper pipe into the water inlets, The high heat of soldering could melt the plastic parts that make up the shower valve cartridge and cause internal leaking. When you have decided the exact position and height where you will be installing the shower rough-in valve, be sure to secure water lines to wood studs and block the rough-in valve and shower head fitting. Securing with solid wood gives your shower rough-in valve the strength needed to withstand the vibrations which will be occurring during normal shower usage. See this example of a properly secured shower rough-in valve and water lines. 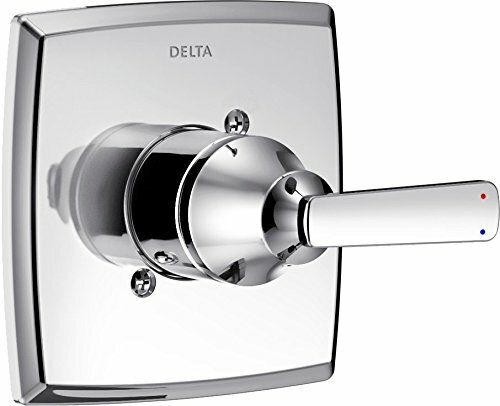 The shower diverter valve will be installed next in line leading out of the shower rough-in valve, since it’s primary function is to divert the water flow away from the shower head and to a shower fixture, such as a hand shower. The actual placement is dependent upon the wall size, where you intend on hanging the hand shower, and accessibility requirements. Another function for a diverter valve would be to divert water flow to a bath tub faucet. PEX is a cost effective alternative to galvanized or copper pipe used for water supply lines that lead into your shower rough-in valve. The PEX pipe is easier and faster to install with the only precision limitation being the special crimping tool needed to secure each end of the line. Here is an example of how to install a PEX pipe from a copper water supply line to a shower rough-in valve. After a shower rough-in valve installation, if your homes water supply system does not reach warm temperatures, it’s possible hot and cold water is mixing in the valve. You will need to apply the manual or manufactured stops or add the cartridge to the valve.